The FBI reported that in 2009 there was a 17% jump in the number of law enforcement officers “feloniously killed” in the line of duty (LODD) compared to the previous year. One of the more egregious incidents included the slaying of four Lakewood, WA., police officers who were ambushed at a coffee house outside Tacoma. In total the Seattle area experienced the deaths of 7 police officers last year and one in the early months of 2010. 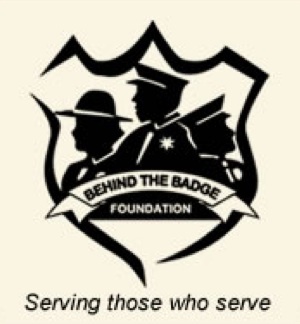 Recently I was contacted by Gary Fox, a retired police officer who is a member of the Line of Duty Death Response Team and the Behind the Badge Foundation. Clearly no one wants to contemplate their own death, but law enforcement is a high-risk occupation with the very real possibility of such a tragedy and these groups are extremely helpful to the families and police departments. At any rate, Mr. Fox informed me about a motorcycle ride which will be led by Seattle Police Officer, Clayton Powell, as well as other current officers and friends, who have pulled this together in honor of the officers killed in the line of duty. 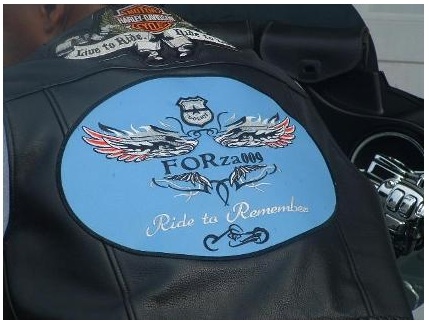 The inaugural ride is called the Forza 009 Ride to Remember and it will occur this Sunday, July 25th. The “FOR” stands for Fallen Officers Ride. The “ZA” is in remembrance of the Forza Coffee Shop in Parkland — the sight of the worst single incident involving a LODD (line of duty death). 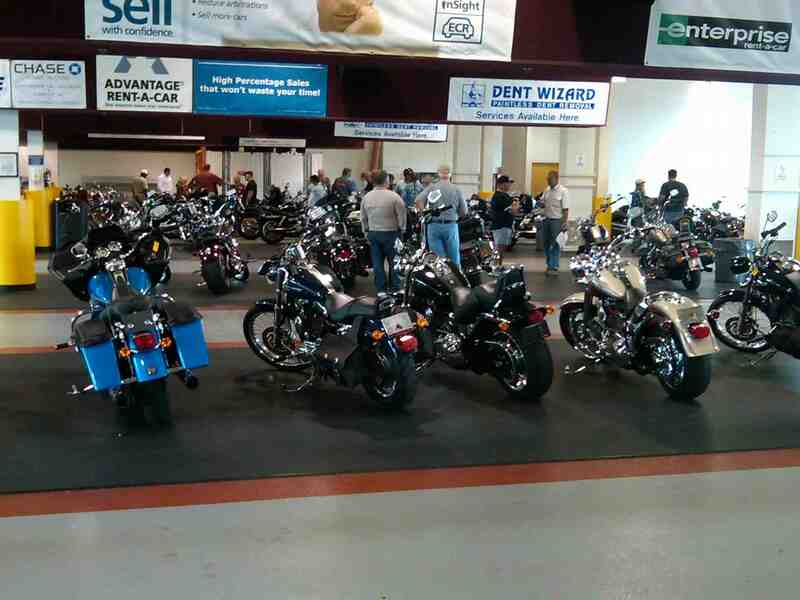 The ride is open to all law enforcement, fire fighters and supporters. The staging area will be at the 7500 block of East Marginal Way, in the Boeing Parking Lot. From there they plan to ride to the East Precinct in Seattle, where a memorial Patch will be presented to the precinct; from there, they will ride to the Lakewood Precinct where four patches will be presented; from there to Eatonville to the Pierce County Mountain Precinct; and then to the Forza Coffee shop in Lakewood for a BBQ and raffle. The proceeds of this ride will assist squad members, agency officers, and family members who would like to go the National Police Week festivities in Washington, DC., during May, but don’t have the funds. 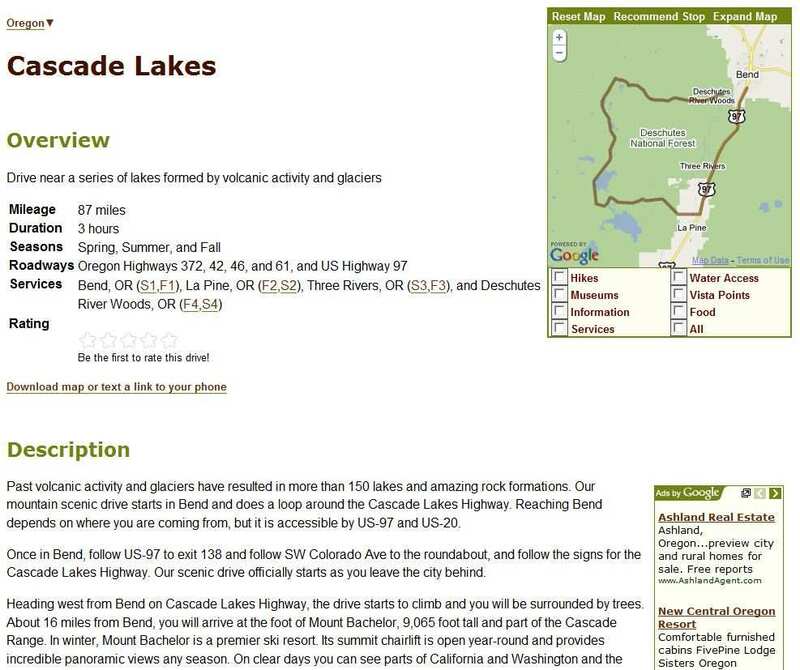 The proceeds of this ride will assist those who can’t afford to go and the ride web site has all the information detail. Photos courtesy of Behind The Badge and FORza web site. It’s hard to pinpoint the exact moment it happened. Maybe it was the first time I saw that trucker crying in his beer while the Blues Brothers sang “Stand By Your Man,” but on occasion I like to run the dial through the XM country music channels and have a listen. And I don’t think I’ve heard any song more than Dierks Bentley “Free and Easy Down The Road I Go” on country radio. It bridges the old and new and takes you back to the country of yore, yet is still fresh with a sound that’s modern. Listen to it HERE. You might say that REAL country music became extinct somewhere around the early 80’s in favor of horrendously polished and confectionery, factory-churned “hits.” To that I say you’re correct in large part and long live Jimmie, Merle, Johnny, Willie, Waylon, etc. If you haven’t been to Nashville, you haven’t been to the Country Music Hall of Fame and Museum. And you’re the worse for it. You might think you don’t care about boot-kickers, and if so you’re missing out on the history of America. From slaves to the Dust Bowl to the Elvis solid gold Cadillac and the history/tragedy of the Williams family. To see the old footage of people fiddlin’ and dancin’ and watching Jimmie Rodgers sing you become an instant believer and a fan. My point? 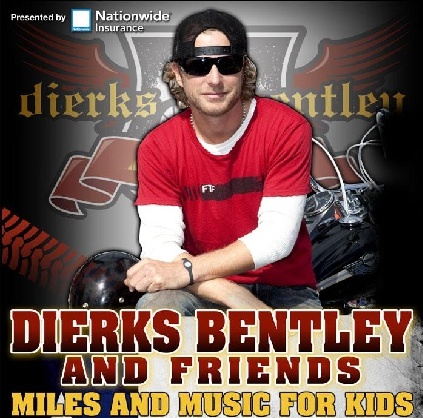 To help evangelize that Dierks Bentley will host his Miles & Music for Kids celebrity motorcycle ride and concert series in Seattle on Sept. 18th. 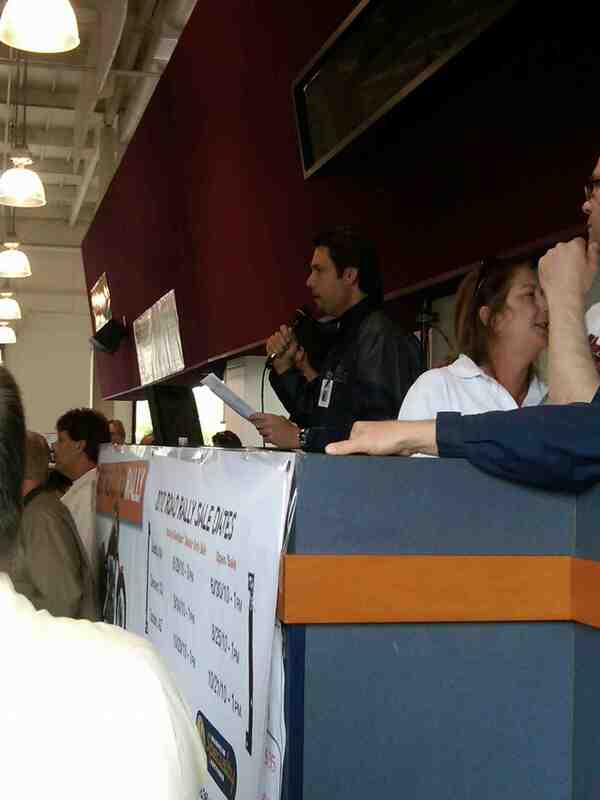 Proceeds from the event will benefit the Seattle Children’s Hospital. The approximately 45-minute ride will depart from Destination Harley-Davidson of Tacoma and travel to the Puyallup Fair. Tickets go on sale March 27th. Photo courtesy of Dierks Bentley. Phil Harris passed away yesterday at the age of 53. Very sad and my thoughts are with his family and especially his sons (Jake and Josh). Many of you know him as Capt. Phil Harris from the reality TV series Deadliest Catch on the Discovery Channel. He was the Cornelia Marie captain, a 128-foot fishing boat that carries 180 pots and the capacity to hold 312,000 pounds of crab. Phil celebrated 16 years on the fishing boat and his 30th year in the crab-fishing industry. It was just two weeks ago he suffered a stroke while off loading a load of Opilio crabs in St. Paul and seemed to be making good progress. During parts of the off season the boat was moored in Seattle and Phil lived in Lake Stevens. 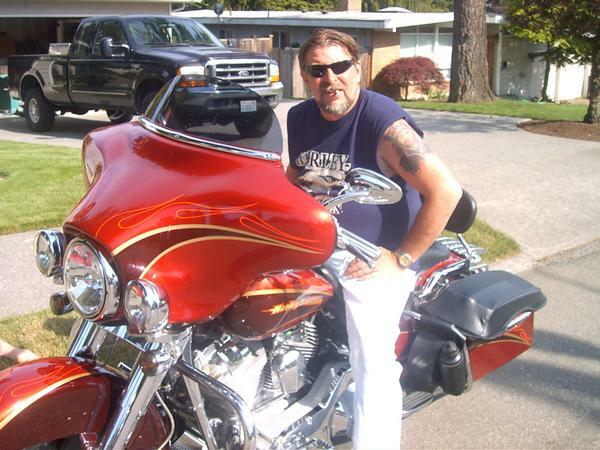 There were numerous reports of Phil riding his Harley-Davidson on Washington highways during the warmer months. 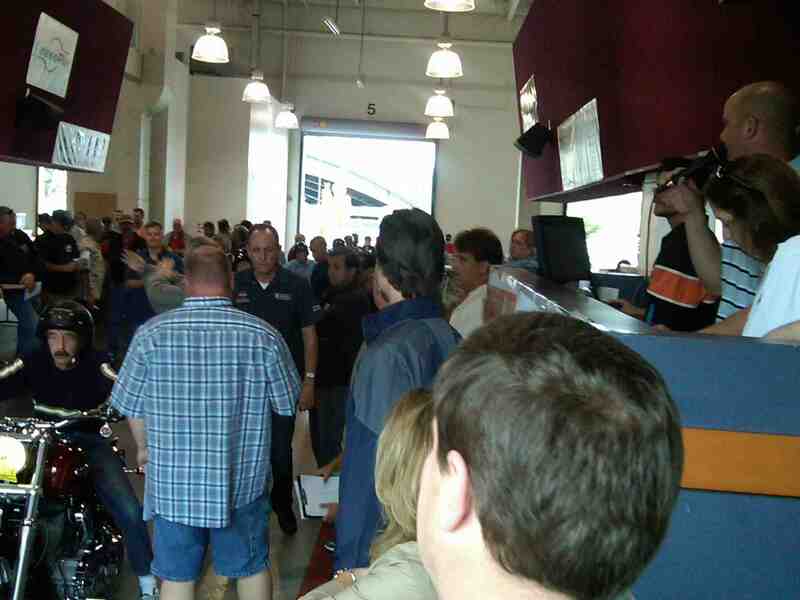 Last year he had purchased a new bike from Titan Motorcycles (The Black Widow). I’ve never been a fan of reality TV, but this show pulled me in and I enjoyed watching Phil on a number of episodes. It was like you got to know him personally. 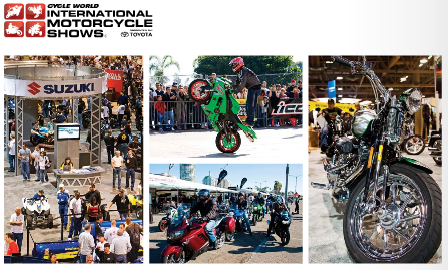 This is a reminder that tomorrow is the start of the 2009 Cycle World International Motorcycle Show in Seattle, WA. 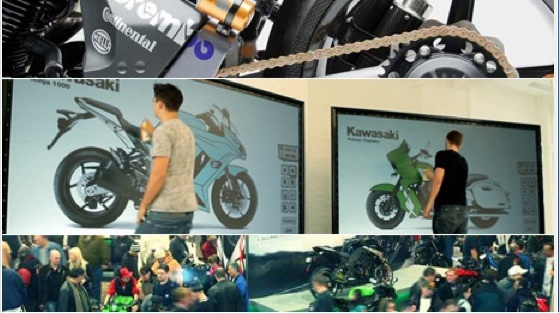 Photo courtesy of Cycle World.